The Republicans lost the House, but maintained control in the Senate. A divided country has rendered a divided verdict. President Donald Trump stands repudiated in House voting nationwide. Yet he was vindicated in voting that took place for Senate seats and a smattering of governorships -- endorsing an agenda and a style of governing that inspired the very backlash that cost his party the House. It’s a messy outcome, with vast consequences for Trump -- starting with coping with a House of Representatives controlled by the opposing party. But the consequences for the nation may be greater still. If the country spoke with any consistency, it was to underscore the divides that Trump exposed and exploited with his still-shocking upset two years ago. 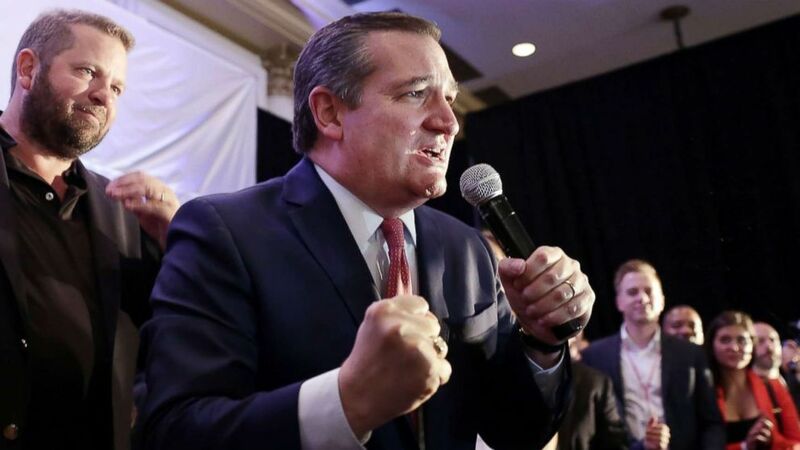 (Michael Wyke/EPA via Shutterstock) Ted Cruz addresses his supporters to declare victory at their election night headquarters at the Hilton Post Oak in Houston, Texas, Nov. 6, 2018. Throughout this campaign, both sides were convinced they were right about where the country is. Both parties’ proved correct -- yet also extremely wrong. Democrats will be empowered by the knowledge of again winning far more votes -- and will be fired up by defeats as well as victories as they dig in for a reset Washington agenda. Robert Mueller’s Russia investigation could whirl back to life at the very moment that Democrats prepare to take power, with a growing list of potential investigatory targets. Yet Trump and his Republican Party will boast of an expanded Senate majority. They also made strong statements about the endurance of Trump’s coalition with victories in governor’s races in key battleground states, including Florida and Ohio. (John Bazemore/AP) William Barrow, 8, of Griffin, Ga., sleeps early Wednesday morning, Nov. 7, 2018, during an election night party for Georgia Republican gubernatorial candidate Brian Kemp, in Athens Ga.
On Election Day, vast swaths of red states turned redder and in January, will have representation that will be distinctly Trumpier. Democratic senators went down in Indiana, Missouri and North Dakota, and others incumbents could yet suffer a similar fates in Florida and Montana. Their hopes of reaching into Tennessee and even Texas to pick up seats crashed against stubborn realities. Yet the movement was equally unmistakable -- and more politically potent -- in the opposite direction, in a geographically diverse swath of suburban House races. Democrats turned out GOP incumbents outside Dallas, Houston, Miami, Kansas City, Oklahoma City, Richmond, Philadelphia, New York, Chicago and -- most likely, when all votes are counted -- Los Angeles. 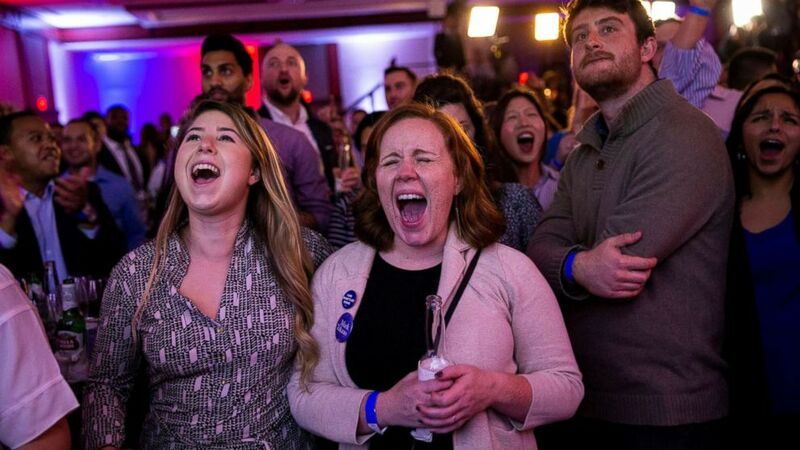 (Al Drago/Reuters) Alyssa Giammarella and Claire Viall cheer as they watch election results come in at a Democratic election night rally in Washington, Nov. 6, 2018. The House will now be populated by a rising generation of progressive Democrats, including a record-shattering number of women, a growing group of military veterans and diversity in terms of race, ethnicity and sexual orientation. Meanwhile, the Senate is losing Democratic moderates and gaining Trump-loyal Republicans. Trump rightly took immediate credit for Senate victories -- wins made possible in large part via his recruitment and extensive campaigning. But this is an unusual win: Voters in this election disapproved of the president’s job performance by a 10-vote margin, according to exit polls. Despite the robust economy, 55 percent of voters said the country is on the wrong track, and the campaign closed amid anger, tension and grief after acts of political and ethnic violence. 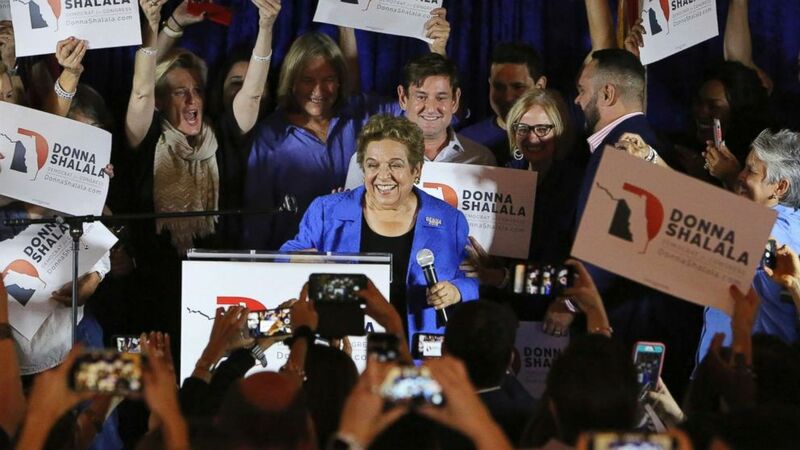 (Emily Michot/Miami Herald via AP) Democratic candidate Donna Shalala celebrates her victory over Republican television journalist Maria Elvira Salazar at the Coral Gables Woman's Club, Tuesday, Nov., 6, 2018, in Coral Gables, Fla. In the candidates it nominated, and ultimately the races it won, the Republican Party again served notice that it is controlled by Trump. He brought his misleading attacks, his racially tinged appeals and his wild campaign style to the midterms, particularly in the closing days, and the GOP followed him there. Now that turns again to governing. That just got much more complicated. As Trump showed, and the midterms have now confirmed, there are two very different Americas running on parallel tracks. Now, with vast shifts in their representation in Congress, they may have fewer reasons to align.